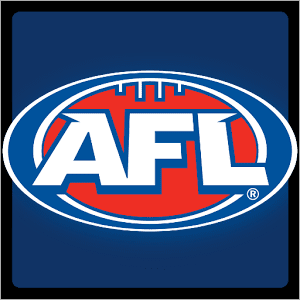 SUMMER is over, the pre-season kickabouts are done, and the 2016 AFL Premiership season is here at last. Can Hawthorn make it four in a row? Will Fremantle and West Coast be up there again? What about Geelong, Port Adelaide, Collingwood, the Western Bulldogs? And will Essendon’s patchwork roster really be as bad as everyone thinks? All those questions will be answered one way or another over the next seven months. It all starts with round one, which kicks off Thursday, March 24 with the traditional curtain-raiser between Carlton and Richmond. The best online bookmakers are running all kinds of promotions to spice up your AFL bets in 2016, including cash-prize tipping comps, money-back multi specials and Premiership futures bonuses. Check out these great offers at our trusted football betting sites. Sign up at CrownBet to take part in one of Australia’s richest footy tipping competitions. You can play for a share in 51 million CrownBet Rewards points or $510,000 cash throughout the 2016 AFL season, with up to 10 million points or $10,000 cash on offer every week. Create your own tipping league and go head-to-head with friends, family and workmates, or test your skills against the whole nation. If you really know your stuff, you could be in the running to claim a share of the overall winners’ prize pool at the end of the season. To enter, head over to www.CrownBet.com – the official AFL betting partner. Footy fans love a multi, which is why Sportsbet.com.au has brought out an awesome new tool just in time for AFL 2016. The new Multi Builder makes it easier than ever to put together a big-paying parlay bet, with a simple, intuitive interface optimised for iPhone, iPad, Android, BlackBerry, and most other smartphone and tablet devices. Switch quickly and easily between head-to-head odds, line markets and margin betting, and scroll through the different leagues and sports in the top menu bar to put together a mega cross-code multi bet in a matter of seconds. To get started, open up the Sportsbet mobile app (or log in at www.Sportsbet.com.au on your device’s Web browser) and select the ‘Multi Builder’ option from the left-hand menu. Play for a $100,000 grand prize, with $10,000 cash up for grabs every week. 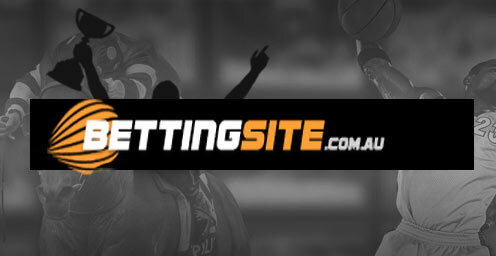 Finish in the top 250 tippers for the year to win a $50 real money deposit. Place a head-to-head bet on any AFL game in rounds one to eight, and you can get up to $50 cash back if your team leads at any break but loses the match. Make a footy multi of five head-to-head legs or more, and you can get up to $50 cash back if only one of those legs loses. Building on the success of its Australian Open and World Twenty20 promotions, WilliamHill.com’s AFL Chase the Points special offers extra value on first goalscorer bets from round one onwards. Even if your pick doesn’t kick the first major of the match, you will get $1 for every point he scores in the game. For example, let’s say we bet on Trent Cotchin to bag the first goal in Thursday’s blockbuster between Richmond and Carlton. If the Tigers skipper finishes the game with two goals and two behinds (14 points overall), we will pocket $14 – regardless of whether or not he scores the opening six-pointer. Hills is also running a Winners Bonus for future bets on the AFL Premiership market. If you put down $30 or more on any one team to take out the flag, you will collect a $5 bonus bet for every match your pick wins throughout the regular season. Thus, if we back Hawthorn to successfully defend their crown and they win 16 of their home-and-away games, we’ll collect $80 in free bets (16 x 5).